God our creator, bless the work we have begun to make it prosper and grow according to your design. May our business bring true service to our seafarers. By this work you have entrusted to us, enrich our lives with your goodness and help us build your kingdom here on earth. The trend in the maritime industry shows a dynamic demand for not just technologically equipped seafarers but likewise for soft skilled and competent seafarers. 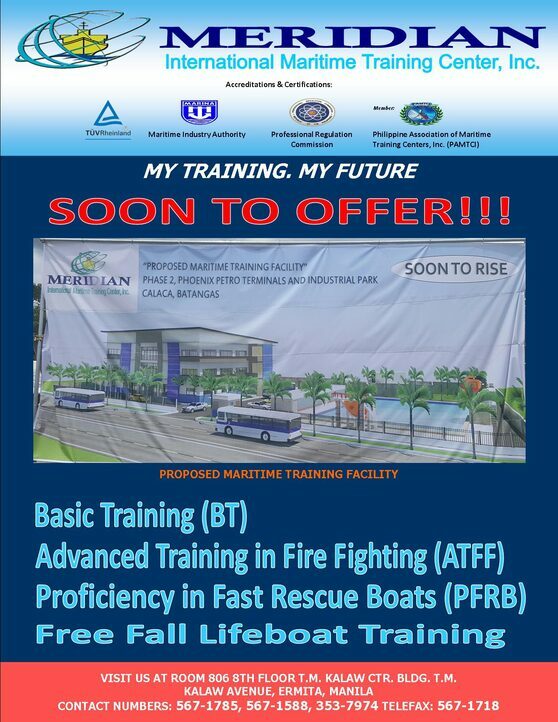 To satisfy the quantitative and qualitative industry demands and eventually harmonize nature and science, the MERIDIAN International Maritime Training Center (MIMTC) is conceived to become the catalyst of proving the Filipino seafarer’s worth in staying on top in the market for world seafaring. 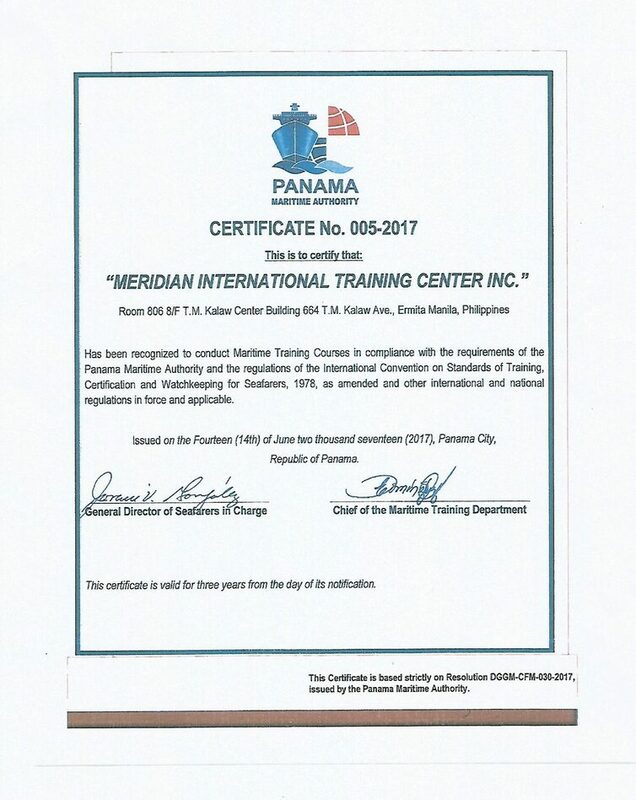 The MERIDIAN International Maritime Training Center shall be a respectable training center adhering to the values of integrity, credibility and honesty. It shall promote the well being of every Filipino seafarer, and instill a healthy character of high competitive spirit. The center shall uphold that the only way to win competition is to be the best. We are now accredited by PANAMA Maritime Authority.